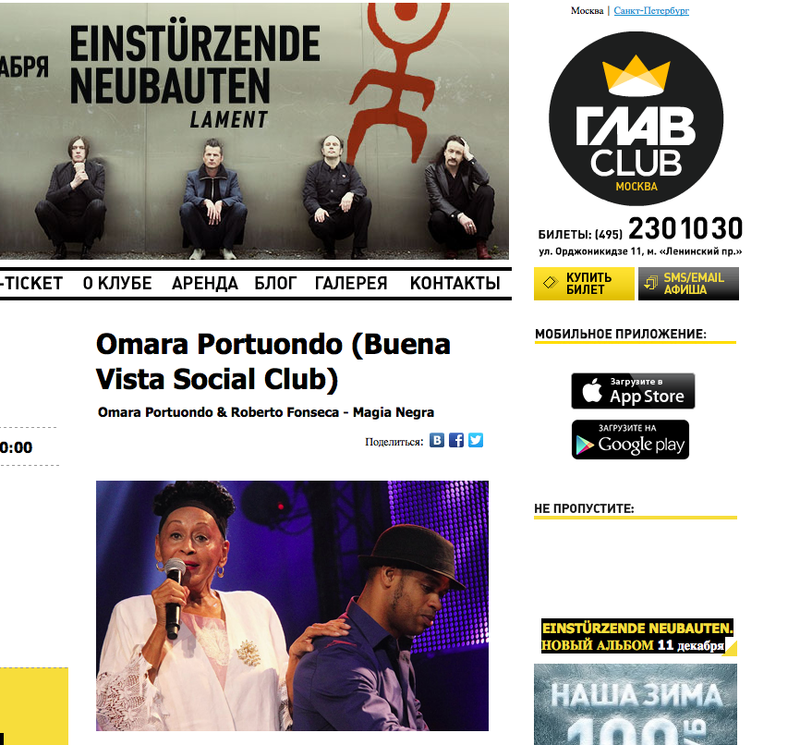 A gret 2014 for Omara Portuondo and Roberto Fonseca will end with a lat show from their Magia Negra tour at GlavClub Moscow. A year with a new musical project for Cuban pianist Roberto Fonseca and with a new album release for the Cuban diva Omara Portuondo. Last chance to enjoy a great live performance of this great artists. Learn more here.